1. The most successful digital strategies for the campaign were things that helped create a movement around the mayor – it created an advocacy around Mayor Rodrigo R. Duterte. These activities included but were not limited to: Building a sizable base on Facebook including proliferation of Facebook pages and groups talking about the candidate. Building an email database. Sending of high-quality and engaging emails and other materials. Making the supporters an important part of the story. It allowed supporters to create compelling stories of the candidate in various forms like video, images and text. Facebook (along with email and mobile) were heavily used to ask supporters to join in on offline activities. 2. The Duterte campaign built a team from various volunteer groups who probably numbered in the thousands at the end of the campaign. Many of the most talented people in their individual professions became part of this team. For example, Nic Gabunada, former ABS-CBN top sales and marketing honcho, marshalled the digital warriors throughout the campaign period. Notable bloggers and social media specialists volunteered and worked side by side with their traditional media peers. 3. More so than any other campaign in our history, the Duterte campaign was a data-driven operation. A simple and concise digital strategy was developed to be at the heart of the campaign. Virality of content became one of the key goals. The team tried its best to measure every aspect of the digital campaign including messengers, messages, design, video, voice, segmentation and other tactics. Resources were directed to higher-performing activities. This is especially true for content that was going viral – the team helped by boosting it on Facebook. 4. The campaign’s recognition of the value of maximizing social media led to a critical decision of making the team an important part of the overall campaign – having the same priority as the field operations and finance and other units. The campaign was open to crowdsourcing content from the start noting that it came with risks of not being able to check all the materials. 5. The campaign used a simple measure of success: the value of higher engagement on Facebook over the lifetime of the campaign. The campaign boosted content that were resonating with the supporters and voters. Building the relationship with supporters over time produced better results – done by engaging with the different volunteer groups locally and from abroad. 6. What made Duterte’s campaign materials special? The volunteers and supporters were given the creative leeway to design it based on their own interpretation of the campaign narrative and it then allowed the messaging to be strategically aligned with what voters cared for at the moment. This even spread offline where supporters created their own tshirt designs and used their own money to print them as well. 7. There was strong coordination between the digital and field teams. 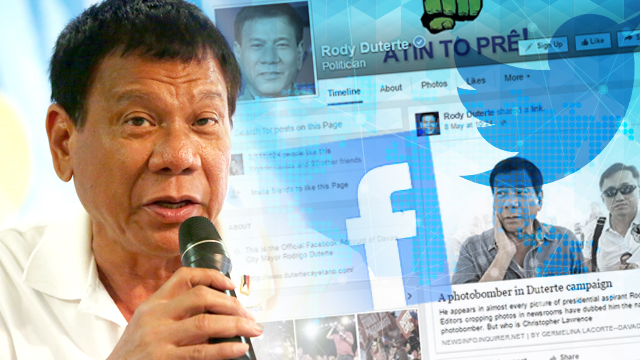 Facebook allowed faster communications between different supporters and groups supporting Mayor Duterte. 8. Thousands of online/digital content were created by volunteers and supporters themselves – this included hundreds of songs composed and created by various musicians for the candidate. The vision for the use of video was different from past campaigns. The team was not selling a candidate, they were simply covering the movement around the campaign. The team was able to engage people, draw in viewers and make them feel like they were part of something big. This was called by one online social media firm as citizen-led campaigning and that’s what happened. 9. The team curated content that was coming out from the volunteers and supporters and segregated it based on the target market: Facebook videos and image memes for Class D, E; high-quality and informative videos and platform-based content for Class A, B, C – overall, the team allowed supporters to co-manage the campaign. 10. It has to be mentioned that the way the candidate conducted himself allowed his supporters to create content about him and about his campaign. In the end, the candidate allowed the people to see him as the authentic candidate compared to his rivals who were perceived to be following a script. To our friends in the United States of America and other countries who have expressed their desire to help out the victims of Typhoon Yolanda (Haiyan), you can now send funding support through the United Way Worldwide donation platform. The Philippine Business for Social Progress is the United Way affiliate in the Philippines. To my friends in the US, please share this link to your respective networks there. Sincerely appreciate all your concern, support and prayers! UNITED, We will rebuild Lives! Thank you to everyone across our network who has reached out with offers of support for our team in the Philippines. United Way Worldwide has been in contact with Rapa Lopa and his team at Philippine Business for Social Progress (United Way in the Philippines). We are pleased to report that they are safe and working hard to identify and address both the immediate and long-term needs in the affected areas. To that end, we have reactivated the United Way Worldwide Disaster Rebuilding Fund. The fund will be allocated to our partners in the Philippines, and contributions will be tax deductible for donors in the United States. We encourage you to promote this fund in your communities. We have also heard from several corporate partners interested in providing financial support. If you are approached by a company interested in making a contribution greater than USD 2,500.00, they may do so by contacting United Way’s International Donor Advised Giving team at 703-836-7112 x128 or via email at IDAG@unitedway.org. If you have any additional questions, please email Paul Metcalfe, Director, Investor Relations, South East Asia and Pacific , or Alex Rodriguez, Manager of International Communications. Run for Hope CDO 13 in partnership with Xavier University NSTP is gathering 1,000 more runners to be with us on November 17, 2013 to run for our fellow Filipinos affected by Typhoon Yolanda. The run was initially organized to raise funds for our Yellow Boat communities in Cagayan de Oro City. 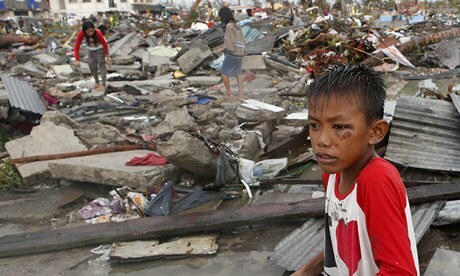 Why the Philippines needs your help. Let’s all unite to help the affected communities. Thank you! Last December 6, 2012, Facebook released a video called “Beyond the Yellow Boat” through their Facebook Stories platform. It has been an amazing ride for each one of us on board the Yellow Boat (of Hope Foundation) during the last 24 months. The organization which basically started from my Facebook status at the end of October 2010 is now a foundation – registered with the Securities and Exchange Commission (SEC) of the Philippines. We are also now present in 8 communities around the Philippines and also assisting various other causes in the Philippines from time to time especially during natural disasters. One of the biggest lessons we’ve learned so far is that solutions must always come from a local perspective. And that is basically one of our driving philosophies – we look for and partner with talented individuals who already have existing organizations or projects in their own localities. We get to learn from them and they get to learn from us. More importantly, we also get to learn from the communities we are helping. When we set out to build the very first school boat for the first community in Layag-Layag, Zamboanga City, we never realized that we were beginning a relationship with this community and build relationships in 7 more communities in Masbate in the Bicol region, Zamboanga del Sur, Zamboanga Sibugay, Zamboanga del Norte, Cagayan de Oro and Negros Occidental. We are now collectively touching almost 10,000 lives. The Yellow Boat has taken me to the US, Singapore, India, France, Italy, Spain and now Pakistan. Hoping to learn more on how to run nonprofits and social enterprises, I applied to be a Global Fellow of Acumen Fund. And that’s why I’m currently in Lahore, Pakistan working with a social enterprise that distributes affordable high quality drinking water to the underprivileged. I know the recently released Facebook video is also an ad for the social network behemoth but again our organization would not have been possible without it. We are still using Facebook Groups creatively to connect with friends, donors, partners and supporters. It is a platform for our communities to discuss and to engage in ideas. It allows us to transcend borders. It also allowed me to meet wonderful people along the way. One of them is my Co-Founder, Dr. Anton Mari Lim, who is the driving force behind our organization. It allows us to tell our story better – in a way, that we can share our successes and failures. The best kind of relationship is one where your donor or supporter can see your mistakes, your faults and you both work hard at it to make it better. Collaboration is so much better than competition. We believe that leadership needs to be shared – because at the end of the day, we are all leaders of our own destinies. It is our individual and collective responsibility to help make the world better especially for children. We believe that leadership is about sharing powerful stories that will empower and inspire even more leaders. We believe that leadership has two key responsibilities: one of inspiration and another of reproduction. For leadership to be truly shared, a leader must empower others – empower them to do something about the things they are passionate about. We believe that for leadership to last, a leader must nurture more leaders and not just followers. Social media allows us to bridge this leadership gap. My experience tells me that people want to do something good, they want to be part of something bigger, and they want to lead authentic and fulfilling lives. And all these mentoring and coaching is possible now in the age of Social media. Facebook for one has allowed us to connect with amazing donors, leaders and partners around the globe who empower us with the resources we need to make a difference. We collaborate with individuals and organizations from Taiwan, the United States, Australia, France, Spain, Singapore, Hong Kong, Saudi Arabia, South Africa, Botswana, and Kenya. The world has truly become flat and interconnected. We now have the world’s greatest minds at our fingertips. And we also now have more access to each other. The best inventions and discoveries were made by ordinary people doing extraordinary things. And social media allows even more collaboration, even among people who haven’t met personally. That is the true power of Facebook and Social Media and explains why a simple yellow (school) boat built in a far-flung community in the Philippines has sailed across the world and touched more lives than we can possibly count. Please visit us at http://www.yellowboat.org. As most of you already know, Facebook Stories released the video of the Yellow Boat project last week. Yesterday, they posted pictures of their team on location in Layag-Layag, Zamboanga City. Check them out on Facebook at On Location: Beyond the Yellow Boat. This is one of my favorite pictures on that visit which shows Skip, Peter and Everett getting dirty on the mud and they never minded it. Social media allows us to build these offline relationships and learn more about the communities we are helping. Social media is a tool, it shouldn’t be the only way to connect. Facebook released the much anticipated video about the Yellow Boat Project last night. I would like to personally thank Peter Jordan, Skip Bronkie and Everett Katigbak for creating this video and for coming to Zamboanga City last July 2011 to film our Yellow Boat Community in Layag-Layag. I also like this post by Click Dominique about the video, [Video] Act local, share global: Facebook user shares localized solutions to Philippine poverty. Indeed, it’s time we highlight how social media can be used for social good esp. on the largest social network today. You can also read the coverage on Social News Daily and WebProNews. To donate to the foundation, please use the donation page on http://www.yellowboat.org. Thank you in advance! I escaped two typhoons that ravaged Manila in the last 3 years since I was out of town (Ondoy 2009 and Reming 2012) but I couldn’t escape Superstorm Sandy in New York. In the 4 days that power was out, I re-discovered my love for everything old school — boiling water to mix with very cold water so I can take a bath, reading in candle light, and carrying 3-gallon drinking water jugs 11 floors up. The first two I experienced while I was growing up. It made me feel human again. It also made me remember the millions around the world today who still don’t have access to clean & affordable water, access to primary & secondary education, access to public libraries and electricity. These are moments that bring us back to the ground. Humbled and refreshed, I remembered why I am in New York in the first place – to find new ideas and solutions to these global challenges. I have never felt so alive. We all dream of helping make a difference in people’s lives. In much the same way that a pebble creates ripples when thrown in water. In 2006, I met one such ‘pebble’ who changed my perspective on life, his name was Alex Lacson. In 2005, he wrote a wonderful book entitled the 12 Little Things Every Filipino Can Do To Help Our Country. It became a national best-seller and it allowed him to test his idea that every Filipino can become part of the solution to the problems that our country is facing. Over the last 6 years, we have heard of wonderful stories inspired by the book. There was a high school class in Muntinlupa City that adopted a scholar, there were families who bought more local products and supported local industries, and there were organizations and companies that adopted their own 12 Little Things that their employees can do to help the country. While I was growing up, I thought heroes were people who had to die for the country. But there is another aspect of heroism that we are failing to notice – the side of heroism that is in the everyday Filipino. And this is what this little story of a yellow boat, built in the south, in Zamboanga City, is all about. I remember vividly the story of the kid who picks up and throws every starfish on the beach back to the sea indifferent to the fact that there are miles and miles of beach with starfishes. Asked that he couldn’t possibly think he could make a difference, he replied that to those starfishes that he threw back, he surely made a difference. Last October 30, 2010, I had the opportunity to discuss the role of New Media in Nation-Building to almost 100 bloggers from all over Mindanao for the 4th Mindanao Blogging Summit. Little did I know then that I was about to become part of the solution to one problem in Zamboanga City. During the sidelines of the summit, I met with some of our campaign volunteers in the city and one volunteer, Juljimar Gonzales, told me of a story that during the presidential campaign last 2010 their team came across a group of children who were swimming just to be able to go to school. The story really moved me. I have heard of stories about elementary students having to walk 4, 5 or even 8 kilometers daily just to be able to go to school. But have never heard of children who have to swim or wade through the waters just to go to school. I couldn’t sleep that night. The next day, I went back to Manila and I felt compelled to share the story on my Facebook status. I know the story will move people but I didn’t realize it will open their pockets. My good friend, marketing guru, Josiah Go, saw my status update, and we were able to start an online fundraising campaign among his friends (and my friends). I was surprised because friends and friends of friends excitedly re-posted our call for donations. In less than 7 days, the Zamboanga Funds for Little Kids (as the fundraising campaign came to be known then) raised almost Php70,000. During this period, I also asked Doc Anton Lim, another volunteer of the President in Zamboanga City, to check the story. In the middle of November 2010, I called up Anton if we can already look for a boat. We had a hard time finding the right boat for the children so we decided to build it. Anton Lim, in behalf of the Tzu Chi Foundation, agreed to accept the funds we have raised, and he also raised additional funds from local donors. It was a difficult journey though. At first, we couldn’t find any boat-maker. We found one but he lived in a far-away community; until finally Doc Anton through Kagawad Jesse Jamolod found a boat-maker (Abraham Mawadi) who came from the village of Layag-Layag itself in Brgy. Talon-Talon in Zamboanga City where the children who swam to school lived. I thought the boat-building would start right away but again we hit another challenge – finding the log to be used. Fortunately, DENR was listening and CENRO Region IX donated the logs to the project through Tito Gadon. In January 2011, the boat-building started. And last March 27, 2011, I joined Tzu Chi Zamboanga for the turn-over of the boat in Layag-Layag, Brgy. Talon-Talon, Zamboanga City. It took us 5 months to finish the project but nothing can be compared to the joy you feel in your heart when you realize you’ve helped make a difference in people’s lives, no matter how small. I slept well that night – it was as if I saw God smile back at me. Nation-building is a difficult project. It requires the participation of each and every one among us. And for the country’s leadership, it is about telling stories that inspire our people to act on the problems they are facing themselves. The boat we turned over was christened ‘Bagong Pag-asa’ (New Hope) – it is a symbol of change that finally a group is finally noticing this particular community’s problems and challenges. But more importantly, it is also a symbol of people power in action. It is about ordinary Filipinos helping other ordinary Filipinos. I believe it is time we extend the meaning of People Power, one that not only changes governments and leaders, but one that also truly empowers our people – a people power that calls on every Filipino to become an active nation-builder. The real heroes in this story are those brave kids in the village of Layag-Layag who crossed the waters just to be able to go to school. Whether by boat or by swimming to school, they have conquered the challenges of water and distance. The boat is a symbol that serves as a vehicle for knowledge and learning. We hear of stories about affluent kids in Manila who skip school to go swimming but these kids in Layag-Layag go swimming to go to school. Changing the world is difficult but with the right attitude and with the community working together, we can make things happen, even with just one boat at a time. I suggest we remember the story of how the barangay came about. During the pre-Spanish era in Philippine history, the term balangay referred to both the boat and the basic political unit in the country, the barangay. This came about because the nature of building the balangay (boat) requires unity among members of the community. And that is how the barangay was born – members of the community working together to build something, whether it is a boat, a city or a nation. I am sharing this story because it is my belief that each one of us can be part of the solution and you can start creating solutions to challenges in the communities where you live or work. It is my fervent hope that this story has touched you in one way or another and that you won’t stop at just reading this – I hope you will you will start creating ripples of your own. These little things create ripples across the country and sometimes with no end in sight. These small acts of heroism can deliver an impact bigger than originally intended. To date, there are more than 150 yellow boats all over the Philippines and our group is now present in 8 communities. Let us all become part of the solution! It’s quite easy to settle. To just be contented where you are. To wake up every morning, go to work, go back home then sleep. The next day the cycle begins again. It’s never easy to write about pursuing your dreams in life. It’s quite hard because some of the things you’re going to share are about your failures. A few times you succeed but most of the time you fail. The coming days are frightening me enough (since I’m leaving the Philippines soon, read it here) that I decided I’m going to share some things I’ve learned over the last year. Life is never easy. Life is short but it is never easy. It’s as if life was designed to be a test. A test of what, I do not know for sure yet. But challenges and trials are what separates men from the boys as the popular cliche goes. Over the last 2 years, I have been part of an amazing journey called the Yellow Boat Project. It has been one hell of a ride. To date, we are present in 8 communities around the Philippines and exploring many more. I feel so blessed to have been a party to the creation of the Yellow Boat of Hope. As our boats came to symbolize a source of new hope to the communities we are helping. Since I was a kid, I always dreamed of being able to start my own thing – whether it be a business, a charity, an organization, anything that I can be proud of. And the Yellow Boat of Hope means that much to me, it is both a childhood and “adulthood” dream. It has allowed me and my co-founders to build a brand – the Yellow Boat as a symbol of HOPE. The Yellow Boat of Hope is no longer just an advocacy for me. It is my life – a personal journey. Probably the most common question to me these days is how are you earning? Leaving my corporate job to join the presidential and senatorial campaign of 2010 was crazy enough but leaving my job at the presidential palace was even crazier. Having a job there meant one had power or so they say. Almost everyone I knew was against the idea but I felt like I was serving two masters. And so I resigned. I truly enjoyed my “work” in the Yellow Boat Project. Every night I stayed up so late wondering about the possibilities and every morning I wake up excited to execute those ideas. My “work” on board the Yellow Boat of Hope is like my way of making a dent in the Universe (ala Steve Jobs). I had doubts as to my decision but I plunged anyway – encouraged by one donor who told me when God sends you on a mission, he sends provision. The Yellow Boat of Hope truly feels like a mission. It is a mission to help children who are struggling to get to school. And it is helping in one way or another the country to fulfill one of our commitments to the UN Millennium Development Goals (MDGs) which is to have universal primary education for all by 2015. So how am I earning? No single staff or volunteer of the Yellow Boat of Hope Foundation is being paid or compensated including me. We are all doing this on top of our regular jobs. And so it puts a lot of pressures on our capabilities to execute our plans but we do it anyway because we believe that education is a right and getting these kids to school should be our priority. And though it’s hard, I truly believe in this mission. I earn from my speaking engagements from time to time and that has partly been responsible for keeping me debt-free. Also, I have saved some money during my 5 years in the corporate world and I have been dipping into it for the last 12 months. Having said this, I cannot complain. Because of the project, I have been to the US, Singapore, France, Italy, Spain, and India to share our story. I have traveled in more cities and in more continents in the last 12 months than all my previous 29 years combined. I have also met so many wonderful and amazing people along this journey. Filipinos who make me proud to be one. And people who inspire me that we can truly build a world beyond poverty. And so I believe it’s only a matter of time before I’m going to figure out how to keep myself sustainable as the foundation is slowly reaching its own sustainability too through the help of my co-founders and friends. So it’s very important to find work that you love because that’s the only way you can truly do great work (ala Steve Jobs again). This is probably the most difficult aspect in nation-building or advocacy work. People like me don’t have regular weekends. We work on Saturdays, on Sundays, and even at 2, 3 or 4AM and sometimes just get by with barely an hour of sleep. At one point, I was out on the road for a consecutive 3 weeks. It’s really tiring and keeping relationships is always a problem especially when the people close to you don’t understand what you’re doing. Our parents might also not understand what we do. They can’t understand why we can’t be just like them. Things were simple before. You go to school. You graduate. You work. You start a family. You work everyday for the rest of your life. And then you die. Our friends might also be thinking we’re just going through a phase in life. And it’s also hard to go out with them since you’re always on the road and sometimes you’re too tired to go out at night. This is for me the toughest challenge because FOCUS is one important success factor in any thing we do in life and it’s increasingly hard to focus on the person you love when your focus is on getting kids to school. Balance is key but it is also a delicate balancing act. I don’t know if that makes sense but there are certainly trade-offs. I also believe that timing is everything. Right now, my focus is on helping build the model that will sustain the Yellow Boat of Hope Foundation and then also building the right model for myself to sustain my efforts and still be able to start my own family. I am hoping though that one day I will find her on board the Yellow Boat of Hope. And it is my belief that it is not an accident either that we were able to build the Yellow Boat of Hope. I don’t like to sound biblical but there are many similarities between our yellow boat and Noah’s ark especially at a time when floods are threatening our way of life and that the sea level is rising. Boats have always been our primary mode of transportation and up to this day, it is estimated that there are more boats in the Philippines than there are cars or jeepneys. Just imagine that there are 7,107 islands and the primary mode of transportation between these islands are really boats or ferries. What I’m simply saying is that I am amazed at how the Yellow Boat of Hope has touched the lives of so many children and families and I never imagined when I was growing up in Cotabato City in Mindanao that I would one day be a part of something like this. Life may hand us lemons but we can surely make lemonades or even lemonade stands out of it.